Sydney is in for another exciting season of opera over the coming months, with Opera Australia recently announcing the five operas making up their Sydney Winter 2013 Season. Playing in the Opera Theatre at the Sydney Opera House, this season promises a healthy mix of laughter and tears, with the bright tale of Don Pasquale standing alongside the classic tragedy of La Traviata. Groundbreaking new productions of Puccini’s famous Tosca and Verdi’s The Force of Destiny will cut to the core of human emotion, pitting lovers against human evil and the cruel hand of fate. A delightful revival of Britten’s Albert Herring rounds out the season. The Winter Season opens with a new production of one of Verdi’s later operas, The Force of Destiny from Saturday 29 June to Tuesday 23 July 2013. This World Première production, the first to be directed by young visionary Tama Matheson, promises to be a thrilling version of Verdi’s classic opera of vendetta, elopement, love, vengeance and doom, with a plotline that has a series of complex twists and disguises. The lavish sets and richly detailed costumes designed by Mark Thompson, feature large‐scale portraits and massive religious statues, conjuring a dark landscape where death stalks the stage. This is a dramatic production where candle‐lit interiors and earthy exteriors change in the blink of an eye. The story involves a series of disguises. Don Alvaro is the first to take a disguise, fleeing to the army after accidently killing the father of his beloved Leonora, who takes refuge in a monastery. Their main adversary is her brother, Don Carlo, who takes on a disguise as a student. Making their Opera Australia debuts, the production features Bulgarian soprano Svetla Vassileva portraying Leonora and internationally acclaimed Italian tenor Riccardo Massi as Don Alvaro. Italian bass Giacomo Prestia is making his Sydney Opera House debut. They are joined by many of the Company’s best‐loved singers, including Jonathan Summers, Warwick Fyfe and Kanen Breen. Italian maestro Andrea Licata returns to Sydney to conduct. A new production of Puccini’s Tosca, from Saturday 6 July to Saturday 31 August 2013 will be directed by John Bell, Artistic Director of Bell Shakespeare and one of Australia’s most distinguished actors. Tosca is the first mainstage production that he has directed for Opera Australia. Puccini was a true theatre composer, using every means available to move the emotions of his audience. 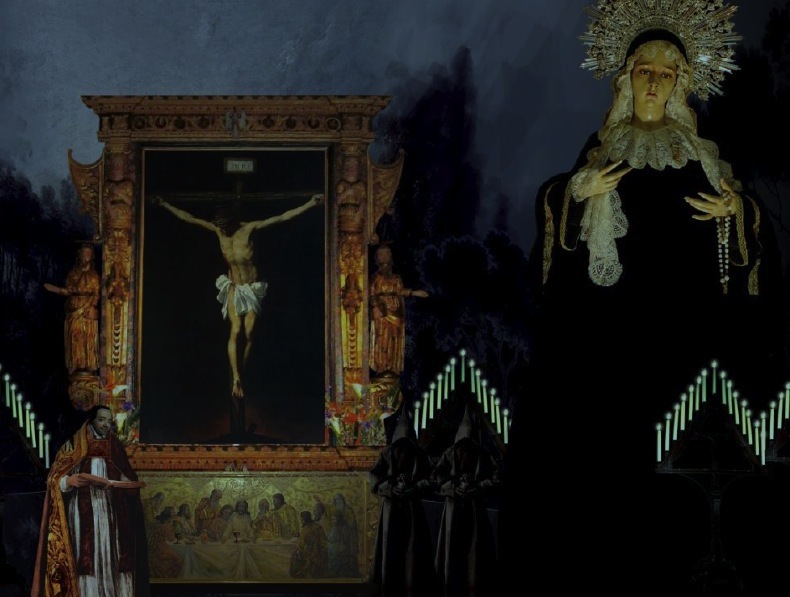 In Tosca, Puccini’s aim was dramatic truth, using the sweep and flow of the music to propel the riveting drama of love, jealousy and sacrifice with astonishing vigour and force. Tosca take place over just two days, with its heartbreaking story of love and death unravelling at startling speed. It is centered on an opera singer, Floria Tosca, who is forced to make a terrible sacrifice to save her lover, who has been imprisoned and tortured for harbouring an escaped political prisoner. The narrative is driven by the actions of Scarpia, the Chief of Police, a man who knows no boundaries in his determination to claim Tosca for his own. Set designer Michael Scott‐Mitchell and costume designer Teresa Negroponte have created a monumental staging, set in Mussolini’s 1940s Italy, complete with a replica of the ornate ceiling of Sant’Andrea della Valle. 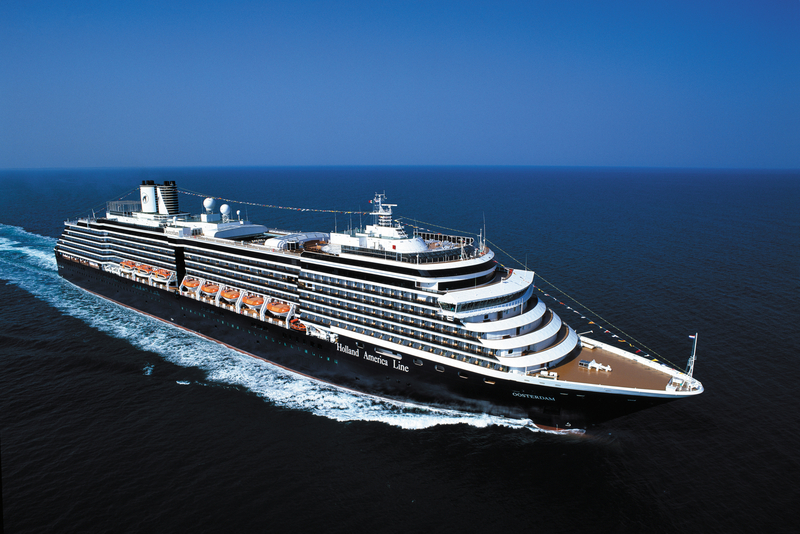 Two of Holland America Line’s popular vessels, Oosterdam and Volendam, both favourites amongst Australian travellers, will be returning for the 2013-14 cruise season. Their planned sailings will visit more than fifty ports of call around Australia, New Zealand and the South Pacific islands. Between October 2013 and March 2014 there will be multiple departures offering round trip sailings from Sydney, or Sydney to/from Auckland, visiting ports such as Wellington, Napier and Tauranga plus Fiordland National Park and Bay of Plenty, some of the most amazing scenic cruising in the world. During the 2013-14 season Oosterdam will sail four 14 day cruises from Auckland to Sydney or reverse, as well as three 14 day New Zealand Discovery voyages round trip from Sydney. There will also be five round trip sailings from Sydney of the 14 day Pacific Treasures cruise, visiting New Zealand and the South Pacific including Vanuatu, New Caledonia and Fiji. For those who want to spend more time at sea, Volendam will depart Sydney on 20 October 2013 for a 34 day round trip Australia Circumnavigation, featuring more than 20 ports. Ports on the counterclockwise trip around the continent include Brisbane, Hamilton Island, Townsville, Cairns, Darwin, Exmouth, Fremantle (Perth overnight), Esperance, Port Lincoln, Adelaide (overnight), Kangaroo Island, Melbourne, Burnie and Hobart. Highlights on the voyage are Komodo Island and a beautiful sunrise call at Lizard Island and sunset call at Booby Island off the coast of Australia. 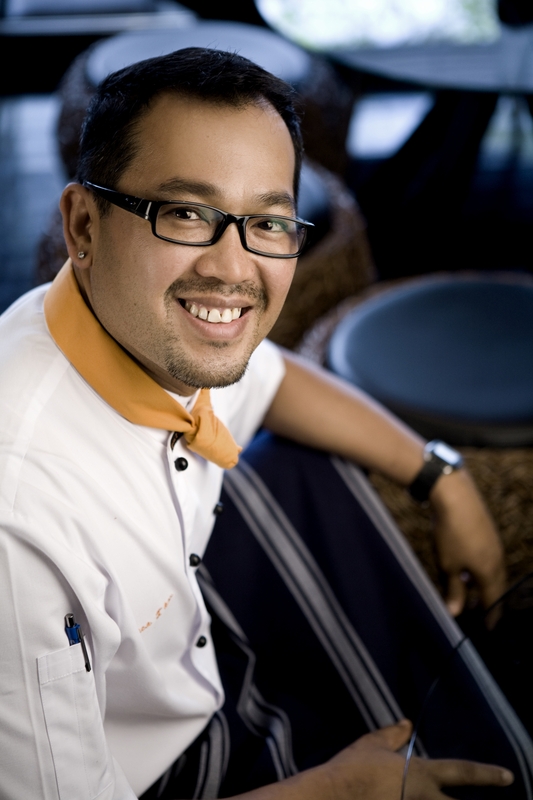 Departing 20 November 2013, passengers will have the opportunity to travel Melbourne to Singapore on board Volendam. As well as featuring two days of scenic cruising in The Great Barrier Reef, the 19 day cruise will have stops at Sydney, Burnie, Hamilton Island, Cairns, Darwin, Komodo Island and Semarang, before arriving in Singapore. One of a kind itineraries are also offered at the beginning of the season with sailings from North America to Sydney. Volendam’s 21 or 24 day South Pacific Crossing departs Los Angeles or Vancouver on September 25 and September 28, 2013. Oosterdam’s 24 or 27 day South Pacific Crossing departs Los Angeles or Seattle for Sydney on September 29 and October 2, 2013 and includes an overnight call at Honolulu. Oosterdam returns to North America on a 28 or 29 day South Pacific Crossing from Sydney to Seattle or Vancouver on April 13, 2014. The repositioning cruises provide an excellent opportunity to visit the South Pacific and Hawaii, as well as enjoy more relaxing days at sea. Collectors’ Voyages on Oosterdam and Volendam offer combined back-to-back itineraries from 28 to 58 days covering Australia, New Zealand and South Pacific and are perfect for those who seek a more extensive cruise experience. Barrier Reef, Uluru National Park or the Blue Mountains National Park, home of the famous “Three Sisters” rock formation. New Caledonia is only 2.5 hours flying time from Sydney and the perfect place for a family holiday. For the older kids there is a huge choice of water activities on offer at the local beaches, where they can kitesurf, windsurf or go snorkeling. Water festivals, sporting events and cultural activities take place on a regular basis, so there is always something going on. There is even the added bonus of having an opportunity to test their French out on the locals if they are learning the language at school. Nouvata Parc Hotel and La Promenade are GLP Hotels’ two properties which are located at Anse Vata, the main beach area of Noumea and a popular meeting point for locals. Anse Vata is home to numerous cafés and restaurants, including Quick, the French equivalent of McDonalds. GLP Hotels has just released their new family offers for Australians and New Zealanders which are valid for travel through to 15 December 2013 including school holidays. Nouvata Parc Hotel, located opposite the beach, is offering two nights free on a seven night package with complimentary adjoining room for the family special. Including complimentary breakfast, WIFI and return boat transfers to Escapade Island once per stay, this should be a very popular place to holiday. La Promenade, their self-catering option, is also offering two nights free on a seven night package in their two and three bedroom fully equipped apartments. Included is complimentary breakfast, WIFI and return boat transfers to Escapade Island once per stay. With a combined total of 650 rooms that range from standard rooms to luxurious suites, to self-catering apartments and overwater bungalows, GLP Hotels provide guests with a range of accommodation options. 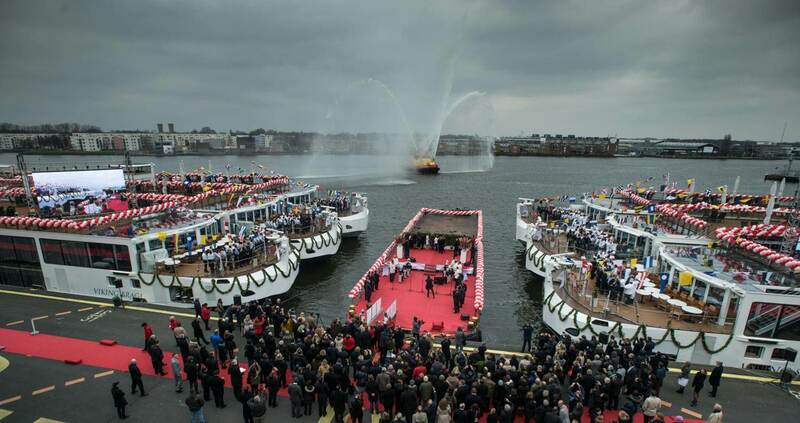 Viking River Cruises, the largest, most popular and leader in the river cruise industry, sailing the waterways of Eastern and Western Europe, Russia, Ukraine, Egypt, South East Asia and China, recently set a world record with the christening of ten new Viking Longships. Four of the christenings took place in front of a large crowd in Amsterdam, while the remaining six were conducted live via satellite from the Neptun shipyard in Germany. The simultaneous christening ceremony debuted the ships Viking Aegir, Viking Atla, Viking Bragi, Viking Embla, Viking Forseti, Viking Jarl, Viking Rinda, Viking Skadi, Viking Tor and Viking Var. Ten distinguished women from around the globe served as ceremonial godmothers for the new ships, representing the key Viking brand pillars of history, art, education, exploration and discovery. The event was certified by a Guinness World Records™ adjudicator as “The Most Ships Inaugurated in One Day by One Company”. Viking plans to break its own record in 2014, with the launch of twelve new Longships. 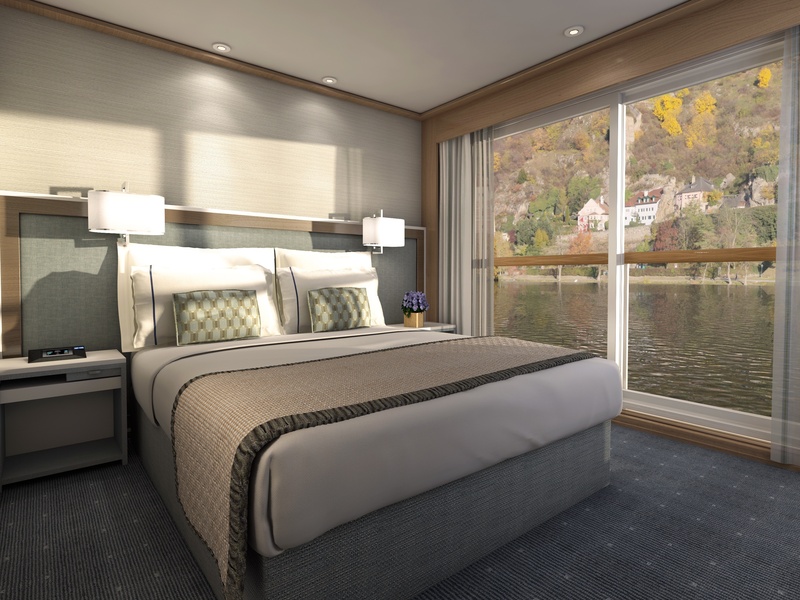 The new Viking Longships will accommodate 190 passengers in 95 staterooms, and will also feature two Explorer Suites, which will be the largest river cruise suites in Europe complete with 270 degree views. There will also be seven two-room Veranda Suites, each with a full size veranda in the living room and French balcony in the bedroom; 39 Veranda Staterooms with full size verandas and 22 French Balcony Staterooms. Viking has released their 2014 River Cruise Atlas exclusively for the Australian and New Zealand market with AUD pricing, featuring new itineraries and twelve new Longship vessels, plus an early booking discount. They also have a remarkable airfare offer, where travellers can purchase a $995 per person, return economy airfare to Europe, from all major gateways in Australia. This deal is inclusive of taxes and seasonal surcharges and is offered to a wide range of European gateways. 22 itineraries are offered in 2014 ranging from 8 to 23 days in length. While the majority are in Europe, they also journey along the Volga, Neva and Svir between Moscow and St. Petersburg. 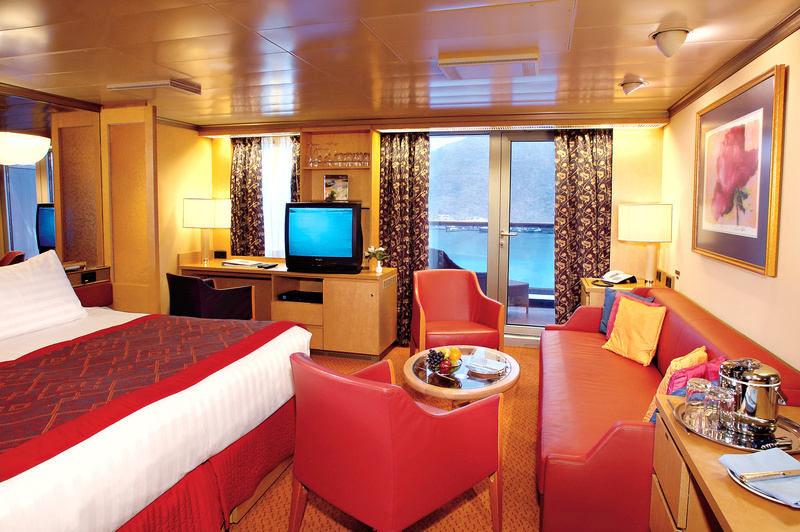 In China, where “cruise tours” take visitors to Beijing, Shanghai and the Terracotta Army in Xian, plus a Yangtze River cruise, Viking’s ship features all balcony staterooms. Itineraries include new destinations such as Portugal, Burma and a new way to see Bordeaux, as well as Old European favourites, such as Grand European Tour and European Odyssey. 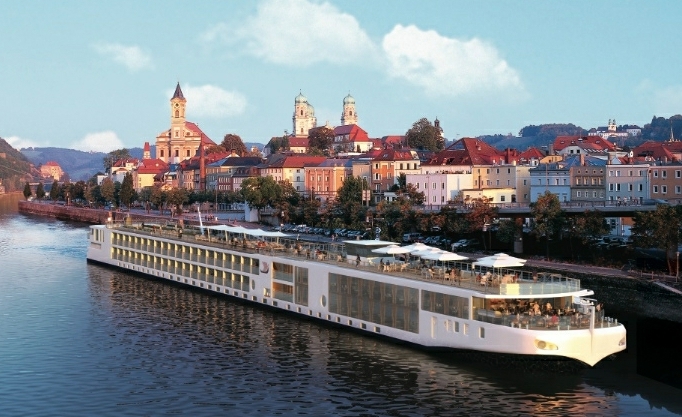 Viking has also reintroduced Elegant Elbe, Footsteps of the Cossacks, Magnificent Mekong and Tulips and Windmills. River cruising is the fastest growing sector of the travel industry; unpack once and let the ship take you right into the heart of towns and cities. The Aquavit Terrace’s indoor/outdoor viewing area at the bow of the ship and grills for al fresco dining, an elevator for easy access between decks and free shipwide wireless internet service are just some of the many features guests will enjoy on their Viking river cruise. Viking Longships, with their sustainability upgrades which include on board solar panels and organic herb garden plus energy efficient hybrid engines that reduce vibrations for a smooth ride, offer passengers an unforgettable experience. Stockholm is the latest city that Emirates Airlines has added to their ever increasing list of European destinations. Flights to this Scandinavian city will commence from 4September 2013 and to celebrate, Emirates is offering special fares for Australian travellers wishing to fly to Stockholm. These special airfares are valid for travel between 4October – 5December 2013 and 16January – 24March 2014. All bookings must be completed by 26August 2013. 84 flights per week are operated by Emirates from Australia to Dubai, with daily onwards connections to Stockholm, where one of the highlights for Australians will probably be the newly opened Abba Museum. 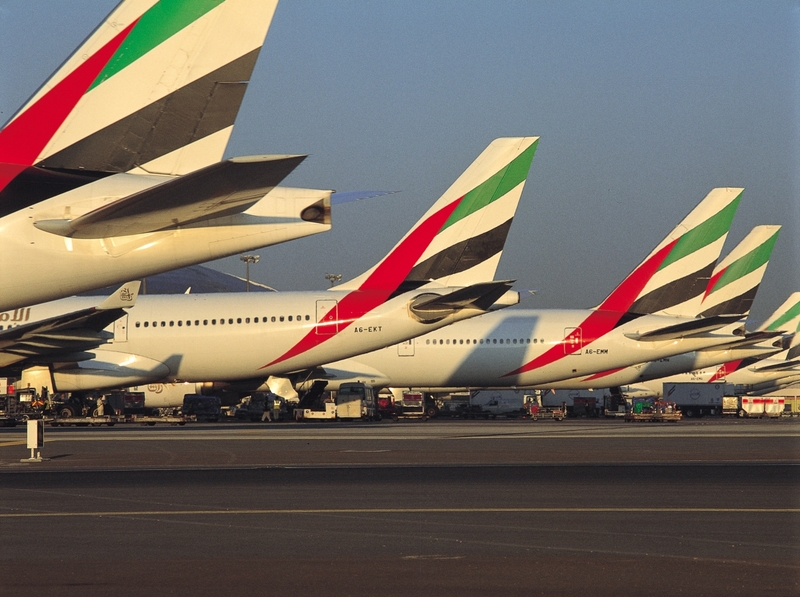 Emirates boasts a network of 34 European destinations, all via one convenient stop in Dubai. I’ve flown to Europe and back several times with Emirates and thoroughly enjoyed the flight experience. The fantastic service from their international crew, great food and wine and most important of all, comfortable seats, makes the time go so quickly. To break up the long journey to Europe, I always spend a couple of days in Dubai, staying in one of the many luxurious hotels. There are so many five star hotels to choose from, guests are spoilt for choice. If you prefer to fly straight on to your European destination, Dubai is one of the easiest airports to transfer to another flight. There are so many shops to tempt you, with selections of watches, cosmetics, clothing, computers and much much more while you wait for your connecting flight. 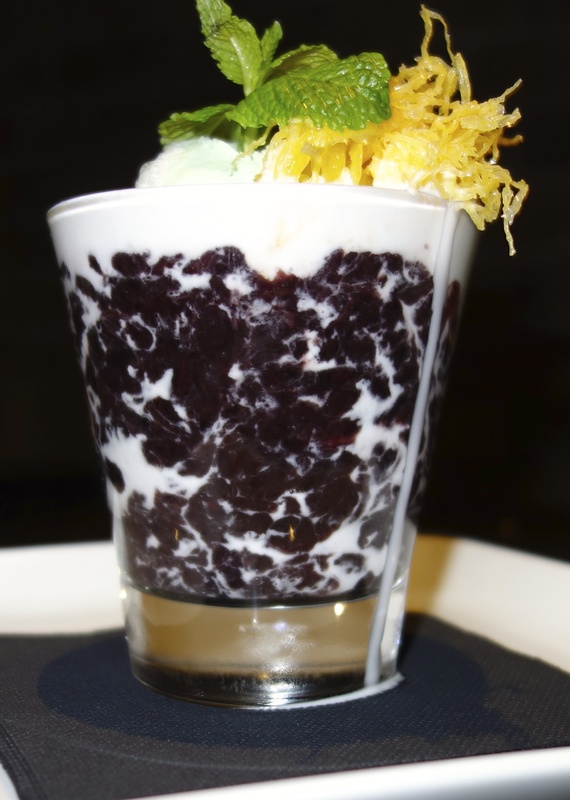 You are currently browsing the SANDRATBLOG.COM blog archives for June, 2013.